A lucky first kiss in front of a Las Vegas slot machine pays off big for bull rider Boone Hancock and New York college student Gigi Colberg-Staub. 7) Don’t forget to jump to the top of this blog post and leave a comment telling me which of these 6 things you’ve done. This entry was posted on Thursday, December 13th, 2012 at 6:00 pm in Blog. Tagged: Randi Alexander, contest, Free Book, Bull Rider, giveaway, holiday romance, Christmas Romance, Cowboy Jackpot: Christmas, blog hop, Christmas in Las Vegas. You can feed this entry. You can skip to the end and leave a response. Pinging is currently not allowed. You’re welcome, and thanks for dropping in, Laurie! Thank you, Gale, and Merry Christmas to you, too! Thanks so much, Ashley! Good luck in the contest! Hi ELF! Thank you for joining the party! Thank you, Shadow, I appreciate your stopping by! Congratulations, Gale! Using Randomizer .org, your comment was chosen the winner of one of my backlist books. I’ve sent you an email, but if we don’t connect, please contact me at Randi (at) RandiAlexander (dot) com to collect your prize. 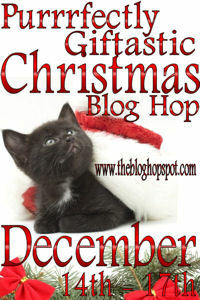 Thanks to everyone who participated in the blog hop, and I hope you all have a happy holiday season.